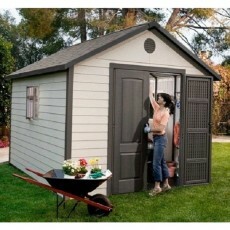 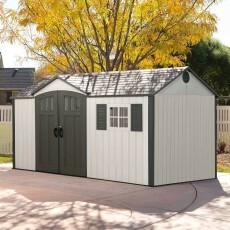 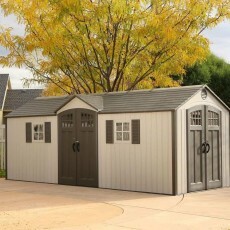 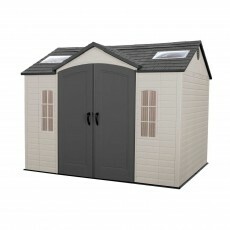 An attractive maintenance free plastic shed with double doors and fixed windows on the longer 10′ front. 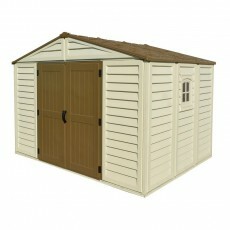 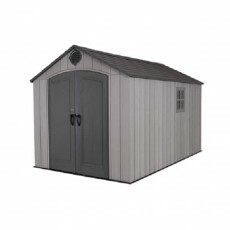 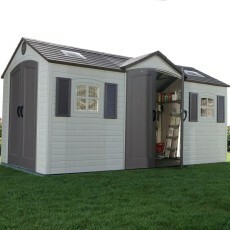 A larger version of the 10 x 8 Lifetime shed and also with the option of two sets of double doors for dual entry. 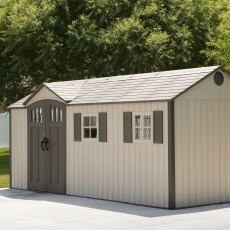 A big but attractive plastic shed. 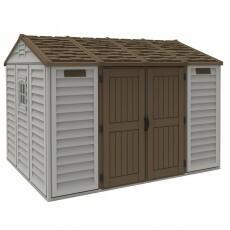 11′ wide plastic shed featuring several shelving units and 2 peg strips to help you keep all your tools organised and right at your fingertips.